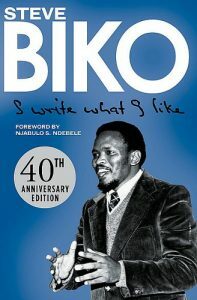 The first, a 40th anniversary edition of I Write What I Like, was published in June, and features a new Foreword by Njabulo S Ndebele, personal reflections on Steve Biko and Black Consciousness, as well as Biko’s first known published piece of writing. 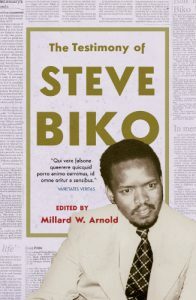 In addition, it features all the material of the original Picador Africa edition: a collection of Biko’s columns entitled I Write What I Like published in the journal of the South Africa Student Organisation under the pseudonym of ‘Frank Talk’; other journal articles, interviews and letters written by Biko at the time; an Introduction by Nkosinathi Biko; a preface by Archbishop Desmond Tutu; and a moving memoir by Father Aelred Stubbs. 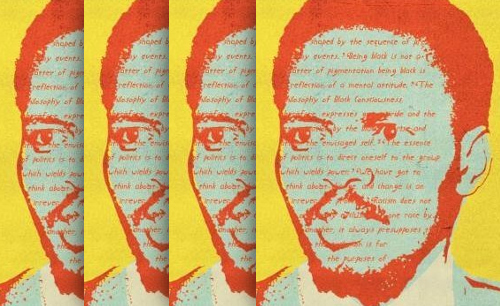 When Steve Biko entered the courtroom in Pretoria in 1974 as a star witness in the trial of nine student leaders from the Black People’s Convention (BPC) and the South African Students’ Organisation (SASO), those who had heard of the myth of the man finally got to witness him speak. 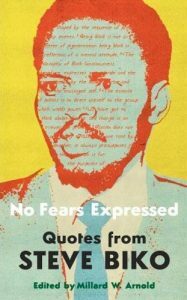 Originally published in June 2007, this book aims to keep intact the soul of Steve Biko and his teachings in a book of quotes. The publishers must be commended for commemorating the 40 years of Steve Biko.